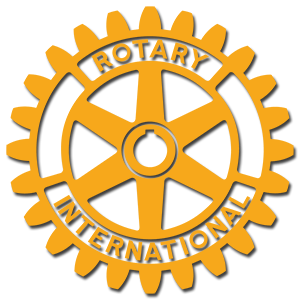 Nancy Scull (BSAP) and Tonia Harries (BSAP Award Winner) visited the Rotary Club of Gaithersburg on January 8, 2018. Nancy Scull and Tonia Harries introduced our group to The Bernie Scholarship Awards Program. It was founded in 1995 by Mr. Bernie Tetreault to aid high school seniors, and adults beginning or returning to school, with the cost of college or vocational training. Recipients must live in Montgomery County subsidized rental housing. It is a component fund of the Greater Washington Community Foundation, a 501(c)(3) organization, so all donations to the program are tax-exempt. Nancy said there were 63 awardees in 2018. She hopes to have a similar number in 2019 and to provide each with a $1,500 award. That might be increased to $2,000 in the year 2020 (coincidence?). A huge 98% of scholarship recipients finish their college degrees or training licenses, 67% pursue 4-year degrees, 17% an associates and 7% obtain masters degrees. The Bernie Scholarship Awards Program strongly supports public service careers, 18-year-old and older students and “non-traditional” students. Nancy gave examples of people from difficult backgrounds who excelled with Bernie scholarships. Tonia Harries is a beneficiary of the program. She spoke of how a scholarship had helped her move from near despair to a A.A.S. degree in Health Information Management, which she will complete in 2019. It has made a huge difference in her life. The organization’s website is www.berniescholarships.org. Through this site, one can donate (tax-exempt) to the program and, also, apply for a scholarship.